Norma Schmidt, a registered nurse, speaks to a large crowd in Clinton, Ontario in September, 2010 about what her health is like, living in the midst of Enbridge’s Kingsbridge Wind Power Project, consisting of 110 wind turbines. Norma’s story is featured in the upcoming CBC documentary “Wind Rush”. 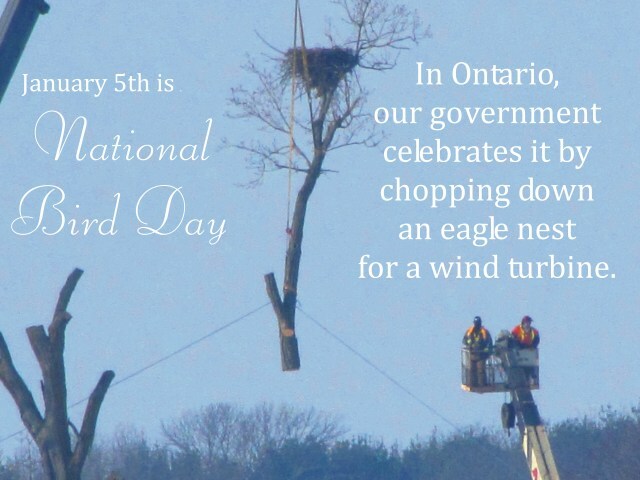 Six days after Ontario officials allowed an energy company to remove a bald eagle’s nest to make way for industrial wind turbines, one of those turbines has been vandalized. OPP in Haldimand County believe the vandals struck the Summerhaven Wind farm project overnight Friday, painting a disassembled tower, setting a fire and causing about $60,000 damage. Wind farm opponents were angered when Ontario’s Natural Resources Ministry OK’d the removal of the nest over the objection of its own consultant. Making the television documentary, Wind Rush, changed filmmaker Andrew Gregg’s point of view about Ontario’s leap into wind energy. The film, narrated by Doc Zone host Ann-Marie MacDonald, airs Feb. 7 on CBC. Gregg, a veteran documentary writer, director and producer, spent two years working on Wind Rush after the CBC brought the subject to the production company he works with. “There was so much in the media a few years ago about opposition to what looked like such a benign and green form of energy,” Gregg said. 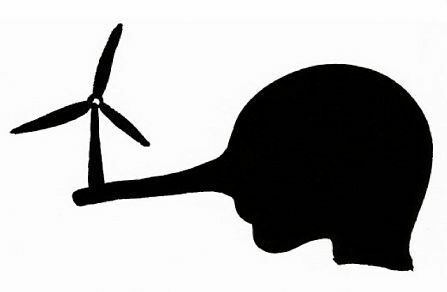 Gregg said he started out skeptical of health claims being made by wind turbine opponents. Plus, he said he grew up on a farm and could see how lease income from turbines could help farmers out. And then, the filmmakers began looking more closely at the issue and found the complaints they were hearing “were surprisingly consistent,” Gregg said. 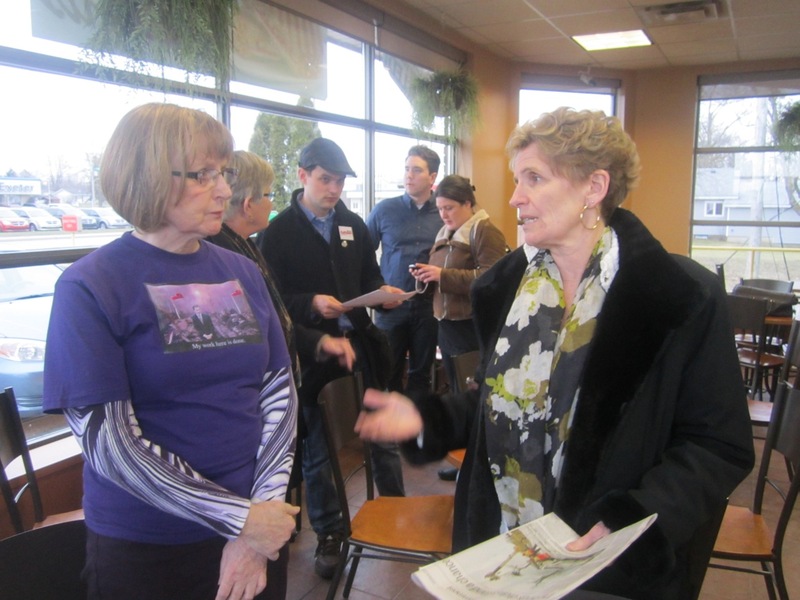 They also talked to specialists and scientists, including Hazel Lynn, the Grey Bruce medical officer of health. “She didn’t have a dog in this fight, one way or another,” he said. 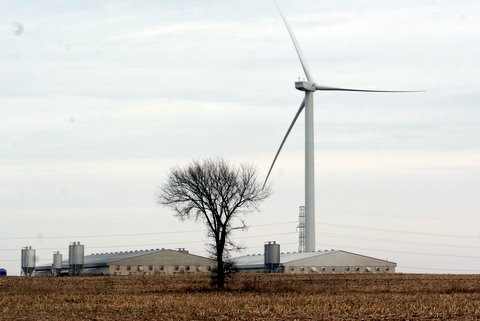 But, Lynn saw how consistent symptoms some residents living near turbines were reporting “and then started to think, ‘OK, we’ve got a problem here,’” Gregg said. I attended a meeting of ~ 20 landowners along the proposed 115KV transmission from the Adelaide Wind project north to the “tap” into the 500 kv line at Nairn. The NextEra/FPL project manager was there with 2 “landmen” (that’s what they’re called). The whole meeting was about 1.5 hours total. It was a “mixed” meeting in that roughly half the attendees were signed to wind leases. NextEra agreed to the meeting in the hopes that they could answer questions about the trans line and hopefully get the adjoining landowners to sign easements that would facilitate placement and alignment of the poles. 1) County Rd. #6 is an old, narrow roadway with houses very close to the road. An historic building, the old Keyser General Store literally sits on the roadway, in fact, only about 10′ of the store are on the owners’ property. 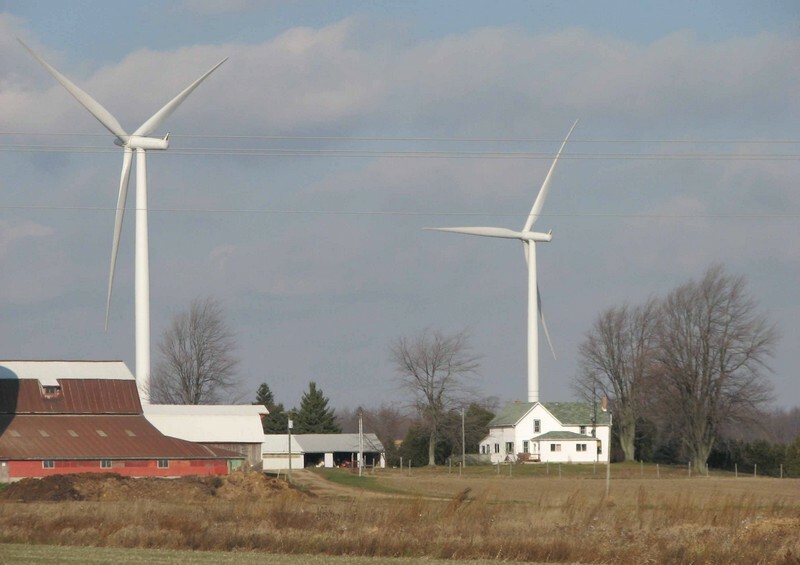 Nextera Energy is questioned at a public information meeting in Exeter on their recent removal of a bald eagle nest, the tree it was in and the surrounding vegetation, in Haldimand County to make way for the company’s Summerhaven Wind Project. In this video Nextera spokespersons try to explain away the removal. They are speaking to residents who will live in their proposed Bornish, Goshen, Jericho and Adelaide projects who are not very encouraged by their responses. Saturday January 5th, at approximately 10:30am, Florida based wind company Nextera Energy chainsawed down the tree limb (large cottonwood) holding a beautiful, active, bald eagle nest (species of Special Concern in Ontario). How is this possible? Yesterday at 5:00pm the MNR gave a permit to this corporation to destroy this eagle pairs nest, and cut down the tree— as long as they were able to do it by January 6th -the next day. In typical cold government language, it is justified that the tree and nest should be removed as it was “scheduled to be removed for the construction of a road, and within 20 metres of the blade sweep of a proposed turbine“. The MNR was not at the tree/nest removal site to see that it was done properly. Nextera’s construction company “Whites” did the removal. I asked the police officer, who seemed to trust that these guys were ‘moving’ the nest, not just making a kindling pile, “If there are only 57 bald eagle nest in Ontario, what are the chances that ANY of these workers has ever removed an eagle nest before?”. Slim. And that is why they had to go through pans A, B, C, D etc to figure out how to lower it onto some straw bales….. they clearly didn’t have a clue what they were doing. and the MNR remained out of sight, as if they had nothing to do with it. Selkirk – Haldimand-Norfolk MPP Toby Barrett says approval to remove an eagles’ nest east of Selkirk smacks of big money corrupting Ontario government procedure. The tree hosting the nest was cut down Saturday, January 5, 2013, to make way for an access road for a Next Era wind turbine. The Ministry of Natural Resources published permission for the removal at 5pm Friday, January 4. 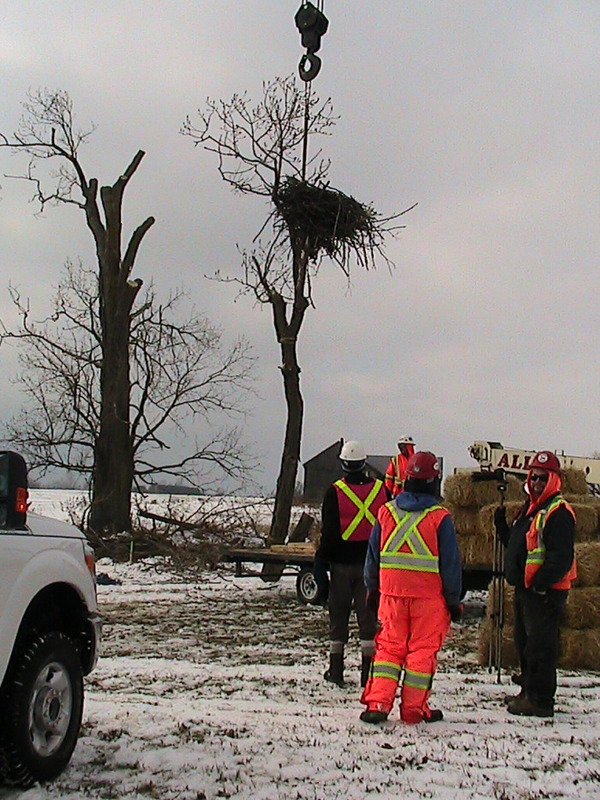 FISHERVILLE – Wind turbine opponents in Haldimand are expressing outrage after a tree with a bald eagle’s nest was removed near Fisherville Saturday morning. The tree was cut down to make way for an access road for the Summerhaven wind turbine project. The Ministry of Natural Resources gave permission for the removal Dec. 31. Until recently, the bald eagle was deemed a species-at-risk. It has since been upgraded to “a species of special concern” due to the growing number of nesting pairs along the north shore of Lake Erie. The nest destroyed on the weekend was one of 57 identified in southern Ontario in 2011. Wind opponents and others are upset with the process leading to the tree’s removal. The permit was issued Dec. 31 with the proviso that the tree would be removed by Sunday. The MNR decision wasn’t posted on the Internet until after 5 p.m. Friday. This left no time for anyone to object. The Summerhaven project is an undertaking of NextEra Energy Canada. Ontario’s Environmental Review Tribunal green-lighted the project last fall following a month-long hearing in Hagersville. 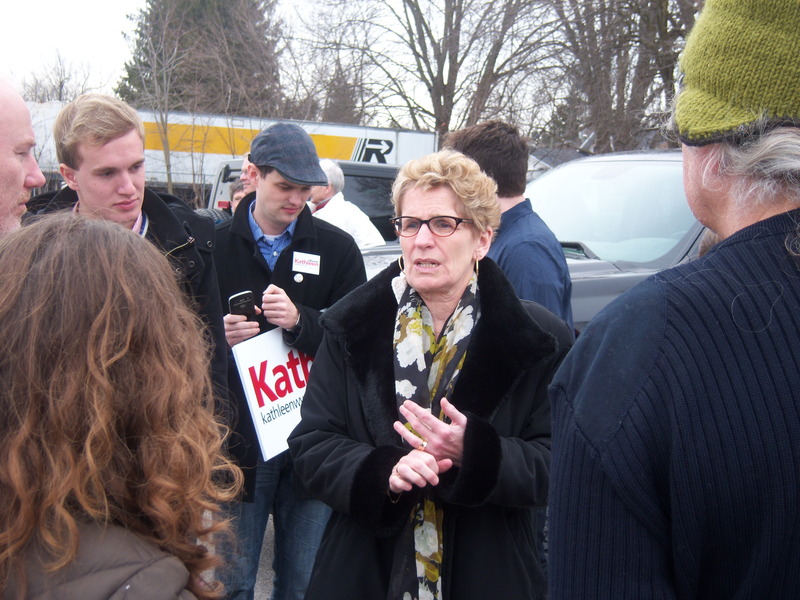 At issue was the project’s potential impact on the environment in west Haldimand. Officials told King and others at the scene that removing the cottonwood tree at this time of year was the least disruptive option. There were concerns that the three wind turbines slated for the area posed a threat to the breeding pair and their young. Spectators watching from the road were told the displaced eagles were not in the neighbourhood. However, the homeless pair were spotted in the area on the weekend, as were 16 bald eagles in total during the annual January bird count held in the Fisherville-area. Ontario Energy Minister Chris Bentley agreed to meeting AND a conversation with only a limited number of residents from rural Ontario (fourexactly, but we took five, 2 of home are already victims of wind turbines). It became apparent very early on in the “meeting” that there would be no “conversation”, as Mr. Bentley stonewalled question after question. The time to pretend to “gather information” was over 4 years ago, Bentely — you have the information, but you choose to ignore it, and ignore us. 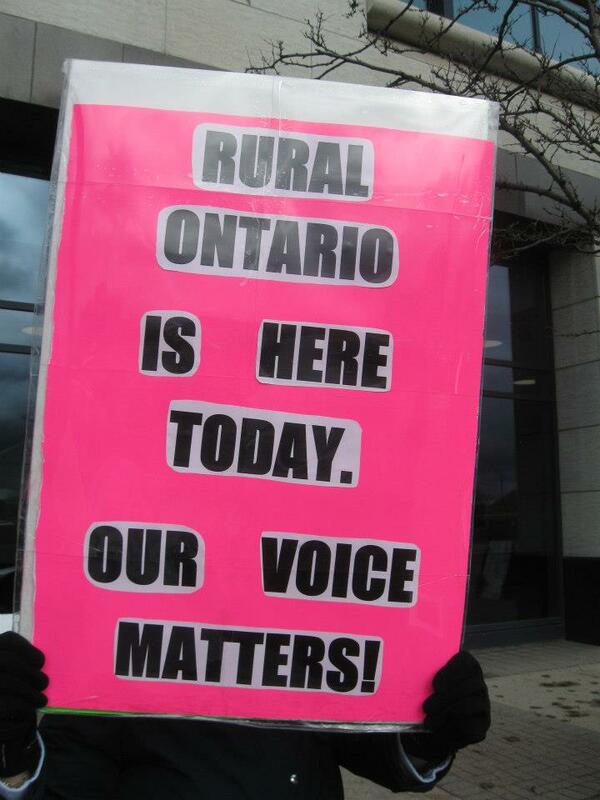 Good luck ever winning rural Ontario vote back again, if the Liberals view this as the way a democracy works. 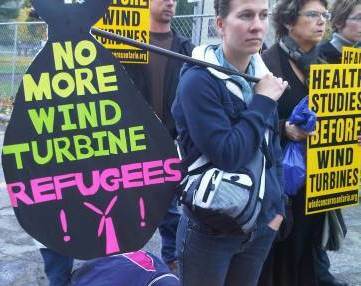 The Unjust Green Energy Act and why we we all must defy it in order to stop the wind turbines. Councils must break the law! A husband, father of two and “receptor 111″, speaks to North Middlesex township council, and it’s lawyer, at a public meeting organized to discuss the impending 45 wind turbine Nextera Bornish project that is up for provincial approval. His message to council: Break the Law (GEA). 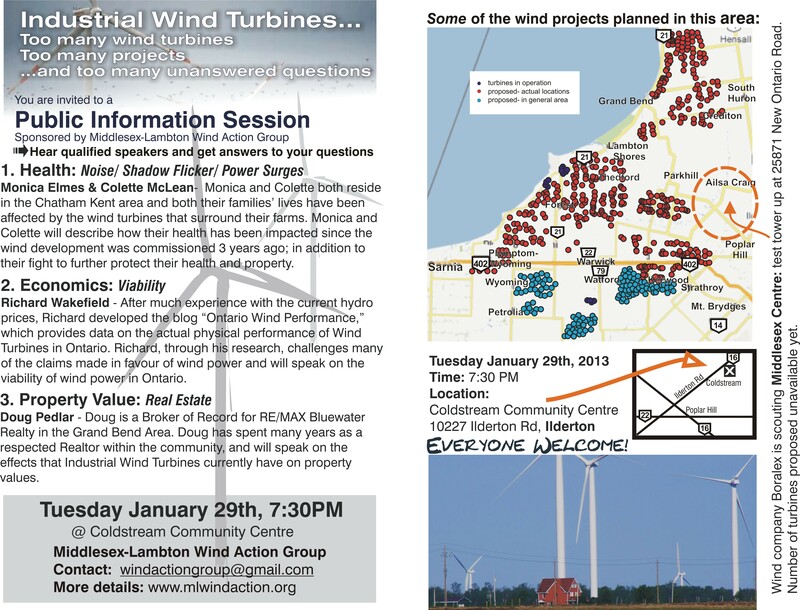 Public Information Session for Middlesex Centre –Sponsored by Middlesex-Lambton Wind Action Group— Everyone Welcome! 1. 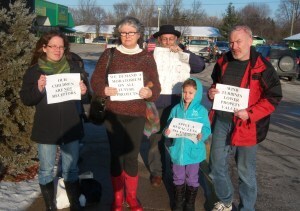 Health: Noise/ Shadow Flicker/ Power Surges Monica Elmes & Colette McLean– Monica and Colette both reside in the Chatham Kent area and both their families’ lives have been affected by the wind turbines that surround their farms. Monica and Colette will describe how their health has been impacted since the wind development was commissioned 3 years ago; in addition to their fight to further protect their health and property. 2. Economics: Viability Richard Wakefield – After much experience with the current hydro prices, Richard developed the blog “Ontario Wind Performance,” which provides data on the actual physical performance of Wind Turbines in Ontario. Richard, through his research, challenges many of the claims made in favour of wind power and will speak on the viability of wind power in Ontario. 3. Property Value: Real Estate Doug Pedlar – Doug is a Broker of Record for RE/MAX Bluewater Realty in the Grand Bend Area. Doug has spent many years as a respected Realtor within the community, and will speak on the effects that Industrial Wind Turbines currently have on property values. Yes, those dots are wind turbines to come in Middlesex & Lambton counties…. 2013 update of wind turbines in northern parts of Middlesex and Lambton counties.